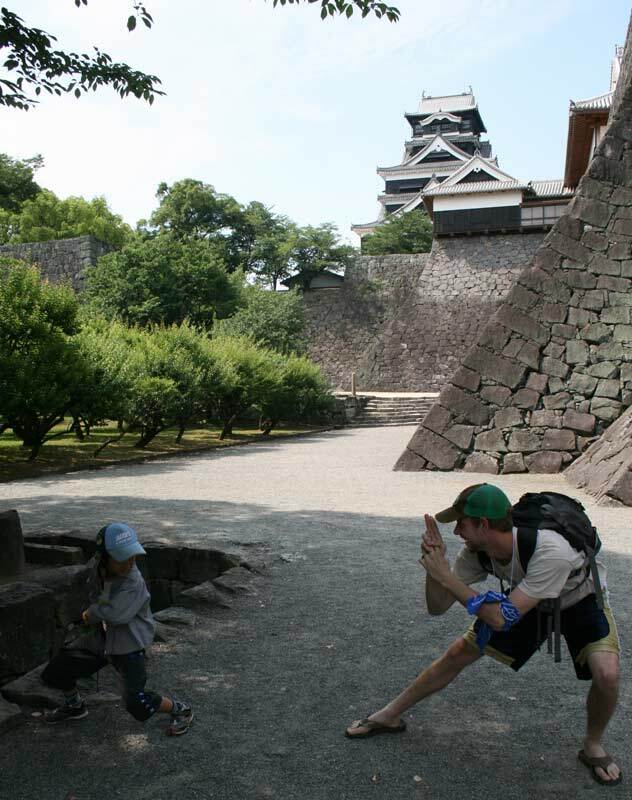 Kumamoto Castle was one of our first “authentic” Japanese experiences. It was our first chance to see a history much older than the opportunities available in America. We were standing, exploring and talking in a building older than anything in my home country. Although it sounds Cliché, I couldn’t help but feel that if walls could talk, this castle would teach me things I couldn’t even imagine or comprehend. The experience went past the artifacts we looked at, or the history we read. From the moment you entered the castle, you could FEEL the history around you. It was so much more than the feeling you got from a field trip, or a sightseeing trip. It was an opportunity to feel history. After the castle a group of us decided to continue our tradition seeking adventure with…KARAOKE!!!!! Although they have Karaoke in the United States, it is nothing like the Japanese experience. Although we only had an hour (30 min. which of was spent on Lady Gaga?…) we sang, we laughed, and we had a few drinks. A true Karaoke experience in my opinion! Karaoke experience was a perfect warm-up for dinner. LOC Members, World Campus – Japan Members, and even our Udon Sensei joined us for the evening. We found a nice dinner location in the center of town. I began the dinner with confidence, but was quickly impressed by Miki, who ‘Kanpai-ed’ me under the table! There was lots of laughter, and too much fun, but the best part was the ease in which people who from different countries, and backgrounds communicated. The personal day in Kumamoto, was anything but. It quickly became about the group, and learning about one another. Instead of worrying about your own good time, it focused on enjoying the company of others. This night in Kumamoto, I will never forget. Previous PostHands on, udon makingNext PostArigato “pop my balloon” event!